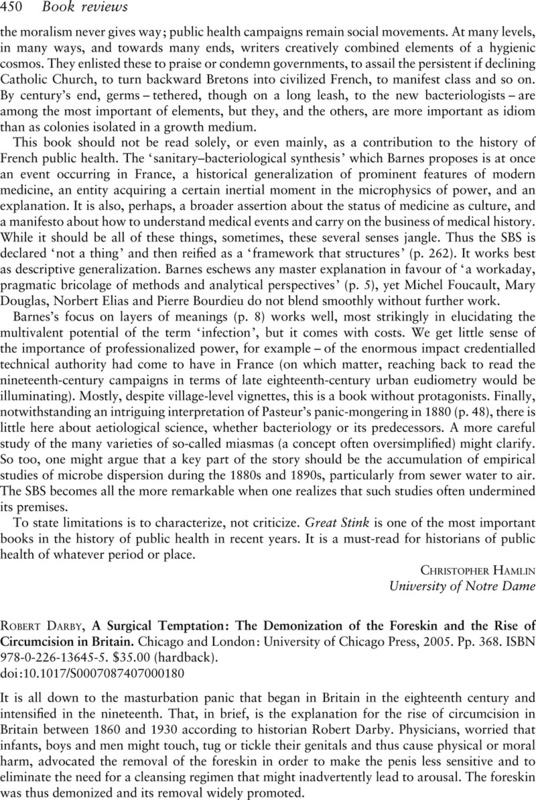 Robert Darby, A Surgical Temptation: The Demonization of the Foreskin and the Rise of Circumcision in Britain. Chicago and London: University of Chicago Press, 2005. Pp. 368. ISBN 978-0-226-13645-5. $35.00 (hardback).